It’s around 90 years ago that the first Australian radio stations began broadcasting to a few enthusiastic early adopters of the new technology called wireless, and this is the kind of music that was popular at the time. Hello, I'm David Ricquish in the Wellington studios of Radio New Zealand International and that was Louise Homfrey with her hit from 1927, "There's a Trick in Pickin' A Chick Chick Chicken". 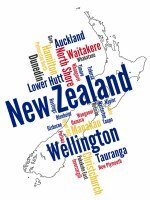 Louise was born in New Zealand and actually christened with the name Hinemoa... and started broadcasting in 1926 from Sydney radio station 2BL [which at that time was owned by Sydney Broadcasters Limited]. Today, I thought we’d have a look at some unusual radio stations from Australia, these were not commercial radio stations, nor were they state broadcasting stations - instead - they were experimental stations operated by radio amateurs. 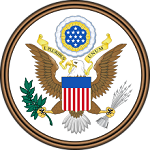 That’s not unusual except that these stations were allowed to broadcast on the standard AM dial, and were allowed to play music, hold talks and outside broadcasts from local concerts, sports games and generally behave like a normal radio station as we know them today. There were some restrictions of course, such as sharing frequencies with other stations and usually broadcasting late in the evening. Back in 1921, Charles MacLurcan was issued with the very first radio licence in Australia for station 2CM. This broadcast from the Wentworth Hotel in Sydney, owned by the MacLurcan family, and Charles broadcast popular classical music concerts every Sunday night. Radio 2CM was the first radio station in Australia to publish a regular program guide and Charles was clearly good at generating publicity, because his first broadcast resulted in over 2000 letters from enthusiastic listeners. In fact 2CM could trace its heritage back to a morse code station, XDM, which began broadcasting in 1911 and established numerous long distance records such as being heard in New Zealand with a power of 0.0037 watts. In 1921, Sydney audiences could also hear 2YG broadcasting from Coogee Beach and operated by Ray Allsop who had also started with a morse code station XCA back in 1911. Ray also broadcast weekly concerts from 2YG and later went on to become chief engineer of 2BL Sydney, as well as pushing for the introduction of FM radio which he experimented with in 1938. Ray was still involved with issuing licences as a member of the Australian Broadcasting Control Board as late as the 1970s. 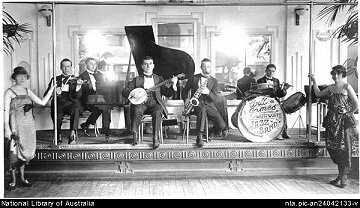 That was a little music from 1927, with Fred Bluett and his popular song from October in that year, ‘Mama’s Gone Young, Papa’s Gone Old’ and by this time, the number of radio licences issued had reached 254 thousand across Australia. 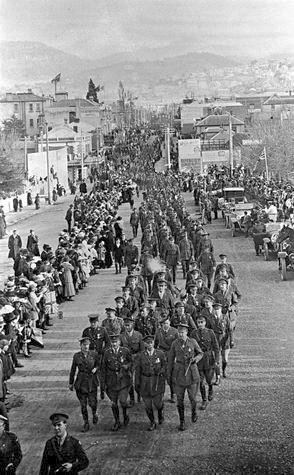 Meanwhile, back in 1921, other early radio stations could be heard outside Sydney including 2XY in Newcastle which was established by a local city councillor called Harry Douglas... and whose experimental station was later to become a popular commercial radio station known as 2HD from his initials H and D.
In Melbourne, 3ME was also on the air, firstly on longwave, and shortly afterwards on the AM dial, with those always popular weekly concerts. 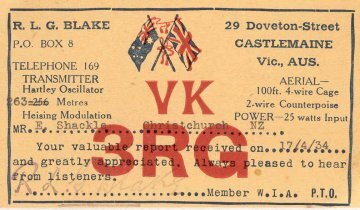 Established by Sydney Neuman of AWA [Amalgamated Wireless Australasia, the Marconi brand], 3ME broadcast from Canterbury and later became known as VK3ME, a shortwave transmitter which in turn was the forerunner of Radio Australia... and even today, Radio Australia continues the old 3ME tradition of using the bird call of the Kookaburra laugh to start and end programs. A second early experimental Melbourne radio station was 3DP which broadcast from Hawthorne. 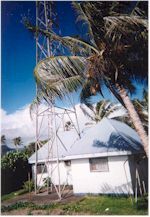 In Queensland, radio broadcasting also started with an experimental station 4CM and this station is associated with a lot of Australian broadcasting heritage from early in 1920. Radio 4CM was owned by Dr Val MacDowell and also started on longwave... it was built by Thomas Elliott and operated by Charles Stevens who also had his own station 4RG... and Brisbane was a hot bed of experimental radio broadcasting in competition with Sydney. 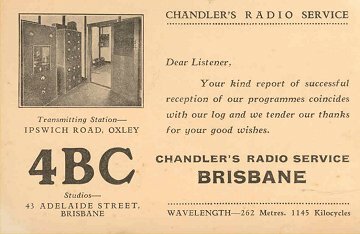 Those regular Sunday night concerts so enjoyed by listeners in Sydney and Melbourne were equally as popular in Brisbane, where 4CM also added live broadcasts from His Majesty’s Theatre. Thomas Elliott, who we mentioned a moment ago, conducted Australia’s first TV broadcasts from the Old Windmill Tower in 1929 and 4CM was granted the country’s first TV licence in 1935 with daily broadcasts for several years. 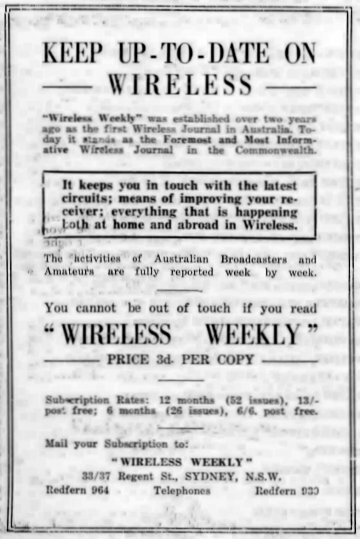 Also in 1920, experimental station 4AE owned by the Wireless Institute of Australia was on the air every Tuesday, and 4CH Brisbane followed in 1921 using both longwave and mediumwave from the same Old Windmill Tower associated later with 4CM. 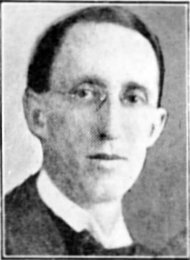 Across in South Australia, local broadcasters were not sitting idly by in 1921 either, with Harry Kauper setting up 5BG and the Adelaide Radio Company to make and sell crystal sets and kits from the same year. Harry was later to help establish 5DN, be the chief engineer for 5CL and 5AD, and also 3DB in Melbourne. Earlier, Harry invented the device which allowed machine guns to fire through a revolving aircraft propeller. Still in 1921 and in Adelaide, there were three other experimental radio stations engaging local audiences. Radio 5AC was operated by Ray Cook from Prospect and was frequently heard in Sydney, whilst Radio 5AD broadcast from Exeter, and was owned by Ray Snoswell. This station was on the air for 2 hours per day, four days a week, which was an immense broadcasting effort in 1921. This call sign was reissued as the familiar 5AD commercial station almost 10 years later in 1930, just as Nell Fleming was releasing the song we heard earlier. The final experimental station on the air in 1921 was 5MA Adelaide, which was owned by the Millswood Auto and Radio Company who also operated as an AWA retailer and radio repair shop. 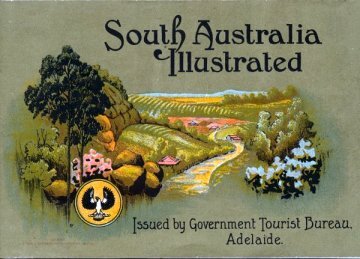 They were actually issued with Adelaide’s first commercial radio licence in 1924, but the station never went to air. Finally today, we’ll visit the Apple Isle of Tasmania where several radio stations could also be found as early as 1921. 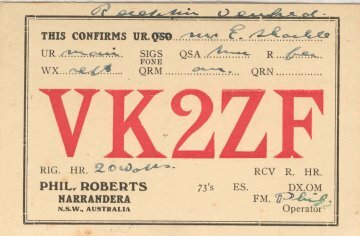 Radio 7AA was on the air in Hobart, operated by Trevor Watkins, along with 7AB owned by Arthur Smith who also ran a company called Tas Radio which produced radio receivers funded by local company Wills and Co.
Like many other parts of Australia, some of the exact dates from around 1921 and 1922 kind of merge but there’s no doubt that broadcasting was very active in this early period and was to continue in this way until 1927. 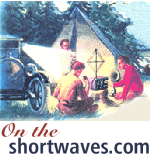 In that year, the federal Australian government took over control of the amateur radio bands after the International Radio conference in Washington DC and the amateur operators and their experimental stations were in danger of being closed down. The Wireless Institute of Australia successfully argued for amateurs to continue broadcasting musical programs on Sunday mornings before A and B class stations came on the air in the afternoons, and also after 10pm at night when the same stations closed down. 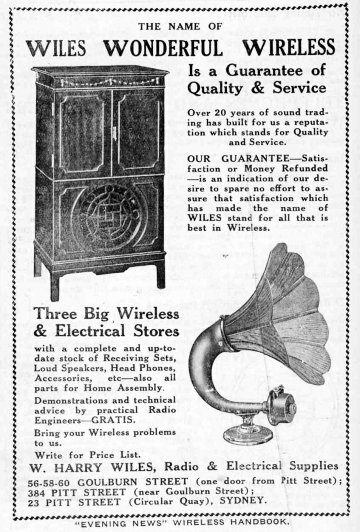 This arrangement continued through the 1930’s, with listeners able to hear both ABC and regulated commercial stations... and still be entertained by local stations in their suburbs and towns with music that dedicated local enthusiasts regularly broadcast across the airwaves from their lounges and front rooms. 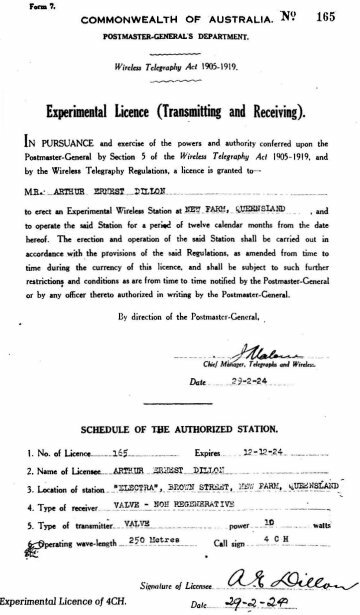 With the outbreak of World War 2, all amateur radio stations were silenced, and when they were finally relicensed in 1947, no more licences to transmit in the broadcast band were granted. 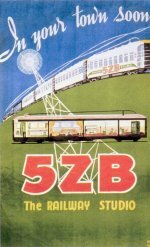 ‘When it became obvious that the MW experimenting DJ must give way to commercial transmissions, ‘B’ class station 4BC invited the 200-metre phone men into its studio to be interviewed and to say farewell to their listeners of many years duration’ - The 4BC engineer was none other than Thomas Elliott, of 4CM. 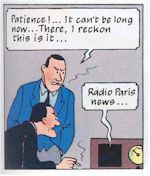 However, for almost 20 years, stations such as 2CM Sydney, 3ME Melbourne, 4CM Brisbane and so many others broadcast there own way into Australia’s radio heritage, and broadcasting in Australia today owes a great debt to those trailblazers who entertained and informed Australians just for the fun of playing around with the new technology of wireless. My special thanks to Bruce Carty of Radio Yesteryear for his amazing new book Australian Radio History and to Warren Fahey for providing the music today from his albums Stars of Australian Stage and Radio Volumes 1 and 2. 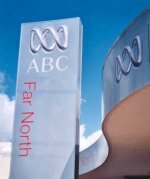 For our free guides to contemporary Australian AM, FM and Digital radio stations, please visit the Australian Radio Guides. 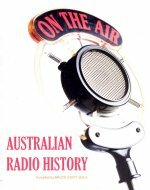 *We recommend the limited edition book ‘Australian Radio History’ compiled by Bruce Carty for the incredible story of 600 AM radio station call signs and much more about Australia’s radio history right up to 2015. 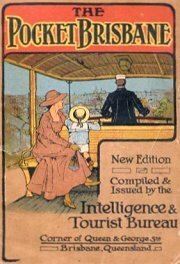 *Beautifully illustrated with many colorful station logos, and featuring popular Australian Music Charts compiled from the 1920’s to 1979. *Radio trivia collector’s heaven with a wealth of detail that goes behind the scenes of hundreds of radio stations, personalities and events. 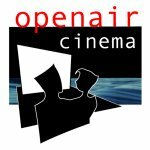 *Revised, updated, new facts, lots of new color station logos and special features and much more. Limited print run. Wonderful as a gift. *Each copy is personally signed by Bruce, who at 13 was Australia’s youngest DJ on Radio 2KA Katoomba. *Less than 20 copies left... Buy yours today and don't miss out.